Deirdre Butler, a professor in DCU’s Institute of Education is internationally known as a leading scholar and creative practitioner of methods supporting teachers’ professional development and students’ learning. Her passion in life is exploring what being digital in learning can mean and what skills or competencies are needed to live in today’s global connected world. She is interested in how using digital technologies could revolutionise learning by challenging us to examine how we learn and to question our assumptions about "traditional" models of schooling. As a recognised thought leader in the area of new pedagogies, she advises policymakers around the globe on redesigning education systems for the challenges that face the world now and in the future. 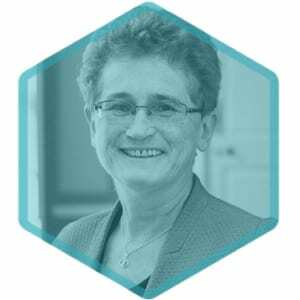 She was key to the development of the Irish Digital Strategy for School, the Digital Learning Framework and is an Advisor to the Irish Department of Education and Skills as they implement the Digital Strategy for Schools. Prior to being a teacher educator, she was a primary school teacher, resource teacher, teacher for the travelling community and vice-principal.